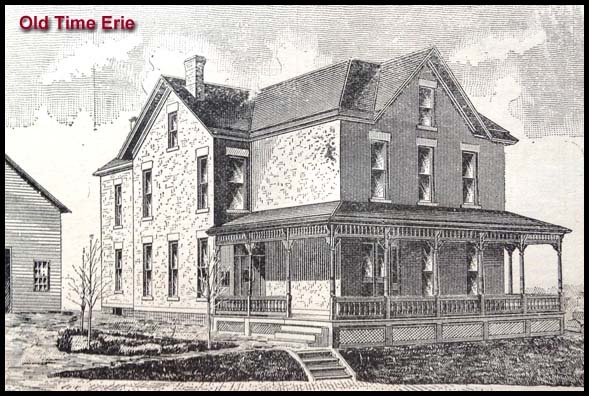 Valentine D. Eichenlaub lived in a 5,658 square foot brick house at 10 West 26th Street in Erie, PA. The house still stands on the north side of 26th St. and thousands of cars pass it each day as they travel from State to Peach St. 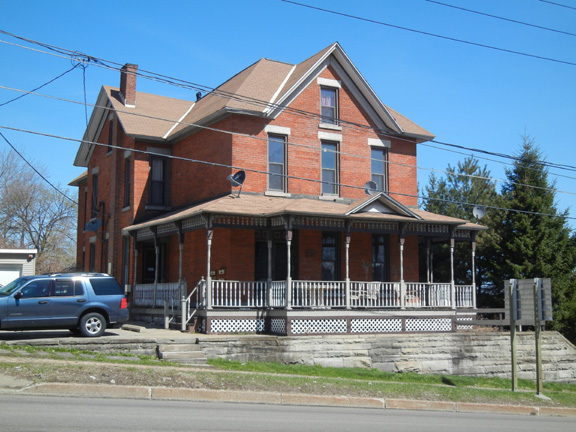 It was a single family home when it was built in 1887 and it's now a four-family apartment house with a couple of satellite dishes bolted to the roof of the porch. It still had a sidewalk made of bricks in 2013. The Eichenlaub family would have had a bird's eye view of the destructive Mill Creek Flood in 1915. V.D. Eichenlaub was a businessman who was active in local community affairs. He served on Erie City Council in 1881 and had previously served as county assessor, city assessor and collector of delinquent taxes. He was born in Erie in 1852, the son of German immigrants. Mr. Eichenlaub was a sewer and paving contractor who helped build a conduit system for underground utility wires in downtown Erie. He built the Eichenlaub block on the southeast corner of 18th and State in 1894, and he built the Hotel Wayne near 12th and State St. in 1906. Valentine died in 1929 and was buried in Trinity Cemetery in Millcreek Township.